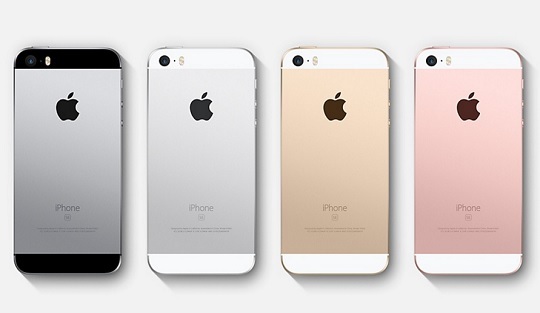 Apple has just given its iPhone SE line a big bump with 32GB and 128GB storage capacity options, replacing the previous 16GB and 64GB models. The 4-inch iPhone SE will now be available with double storage capacity, allowing more space to store your files. Aside from having a bigger storage, its specs and features will remain the same, though. Announced in March last year, the iPhone SE sports a 4-inch IPS LCD display, powered by Apple's A9 processor with 2GB of RAM. It comes with a 12-megapixel rear camera that can simultaneously capture 4K video and 8MP image recording. It also has a 1.2MP snapper on the front. This iPhone model is targeted to those who are looking for a small phone. It may not have the best specs out there, but it sure offers convenience that greatly appeals to a specific market. The new Apple iPhone SE with a higher storage capacity of 32GB and 128GB will be available starting on Friday, March 24 with a price of USD399 or about Php20,000 and USD499 or about Php25,000 in direct peso conversion, respectively. Its release will be simultaneous with the PRODUCT(RED) iPhone 7 and 7 Plus Special Edition models.